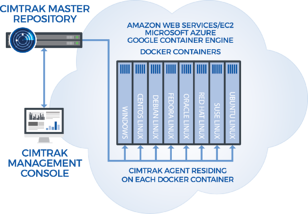 CimTrak can easily be deployed when creating a Docker container and allows for the monitoring of the host OS as well as critical files and data that may reside in the container. This provides users with the same level of situational awareness into changes that are occurring, just as CimTrak does for other servers. 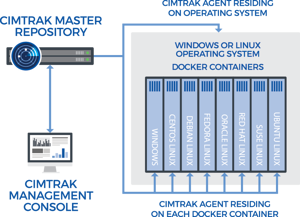 Docker containers deployed in cloud environments such as Amazon Web Services (AWS), Microsoft Azure, or Google Container Engine can also be monitored. CimTrak ensures that strong IT security and compliance posture is continuously maintained, minimizing risk, and providing assurance that Docker hosts and Docker containers are in a constant state of integrity. With their ability to quickly deploy and scale, many IT professionals are starting to utilize containers within their environments. Docker security is often overlooked however, as the transient nature of containers often lulls users into a false sense of security. 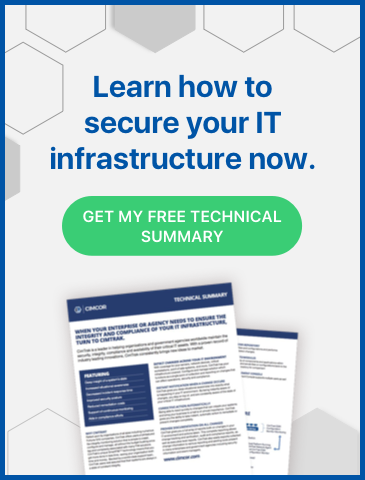 The reality is that IT security risk still exists when using containers, and Docker host security and Docker security should be contemplated, just as it is with other IT systems. Learn more about Docker and Container Security with CimTrak's technical summary today.